Roy Orbison is a rock and roll icon almost without peer. He came of age as an artist on the venerable Sun Records label; toured with The Beatles; had massive hits in the 1960s, 1970s, and 1980s; invented the black-clad, sunglasses-wearing image of the rock star; and reinvented the art of songwriting many times over. He is a member of the Rock & Roll and Songwriters Halls of Fame, a recipient of the Musicians Hall of Fame's inaugural Iconic Riff Award, and the winner of multiple GRAMMY® awards. He is known the world over for hits like "Blue Bayou," "You Got It," and "Oh, Pretty Woman" and was a member of the band that inspired the term "supergroup"-the Traveling Wilburys, with Bob Dylan, George Harrison, Jeff Lynne, and Tom Petty. Despite these and countless other accolades, the story of Roy Orbison's life is virtually unknown to his millions of fans around the world. Now, for the first time ever, the Orbison Estate, headed by Roy's sons, Wesley, Roy Jr., and Alex Orbison, has set out to set the record straight. 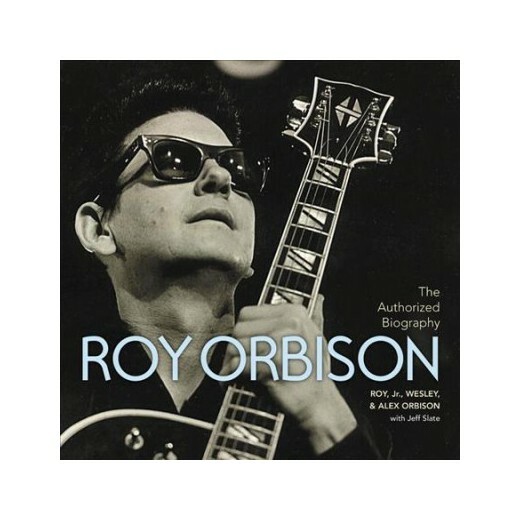 The Authorized Roy Orbison tells the epic tale of a West Texas boy, drawn to the guitar at age six, whose monumental global career successes were matched at nearly every turn by extraordinary personal tragedies, including the loss of his first wife in a motorcycle accident and his two oldest sons in a fire. It's a story of the intense highs and severe lows that make up the mountain range of Roy Orbison's career; one that touched four decades and ended abruptly at perhaps its highest peak, when he passed away at the age of fifty-two on December 6, 1988. Filled with hundreds of photographs, many never before seen, gathered from across the globe and uncovered from deep within the Orbison Vault, The Authorized Roy Orbison shows Roy Orbison as a young child and follows him all the way through to the peak of his stardom and up to his tragic end. Wesley, Roy Jr., and Alex Orbison-Roy's Boys-have left no stone un-turned in order to illustrate the people, places, things, and events that forged their father, the man behind those famous sunglasses. AUTHOR BIOS:Wesley, Roy Jr., and Alex Orbison work tirelessly to protect and further their father's legacy. Wesley, the eldest, is a seasoned songwriter and guitar player. His song "The Only One" (co-written with Craig Wiseman) appears on Roy Orbison's multi-platinum album Mystery Girl. Roy Jr. is a singer and guitar player who works out of his own professional recording studio, the Pretty Woman Studio. He enjoys spending time with his beautiful bride and their son, Roy Orbison III. Alex, a drummer by trade, began his career in music publishing at the age of seventeen. As co-president of Still Working Music, along with his brother Roy, Alex has overseen several Top Ten songs and Number One hits. All three brothers reside with their families in Nashville. Truth be told, I knew of Roy Orbison, the musician. Now I feel like I really know him though. Wow, what an amazing and tumultuous life he had. Rising to the top one minute only to be brought down by the worst of circumstances, over and over again. His sons, who wrote the book, really take you inside their lives with their dad and show you the real story of his life. You gain so much insight as to why or how things were the way they were. The photos were nice to see too, some I had seen, but most were new to me. I saw so many celebrities and family, all who Roy loved closely and cherished, but was sad to not see one photo of him and Elvis. A man he admired so much and was friends with as well. Still, this is an excellent read. And with Tom Petty's passing as I write this out, it almost feels poetic that I finished this book today. 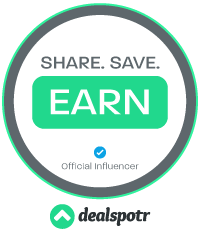 **Compensation may be earned from the links within. This copy was won. Opinions are owned by Freda's Voice. Wonderful. He was special, talented and one of a kind. I have no idea who he is, but what I love is that his sons wrote the book! How cool!! I know what my step-dad is getting this Christmas. Roy Orbison is one of his favorites. It is amazing that anyone would know who his was. He was so influential in shaping the sound of music.